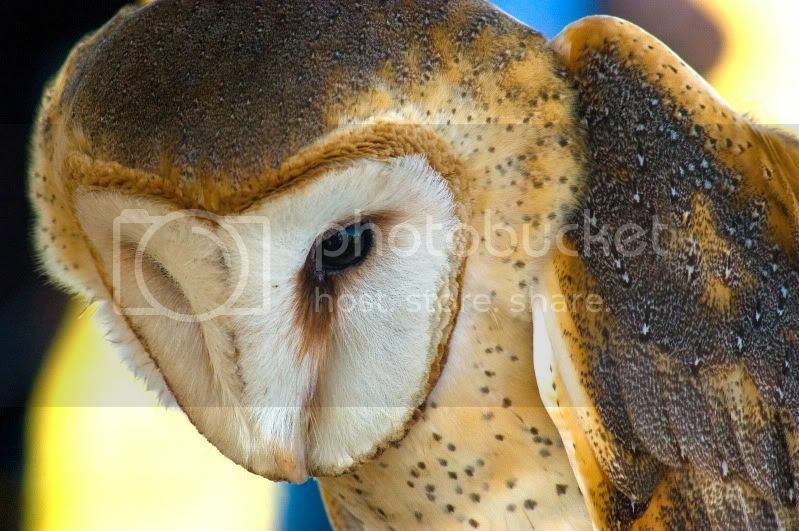 This barn owl is a resident of a raptor rescue organization in central Florida. He is unable to fly but lives a pretty good life otherwise. The staff uses this bird in educational displays and is the only opportunity many people, including myself, have to see one of these gorgeous birds. I love owls but I've decided that they are almost as difficult to find in the wild as unicorns.